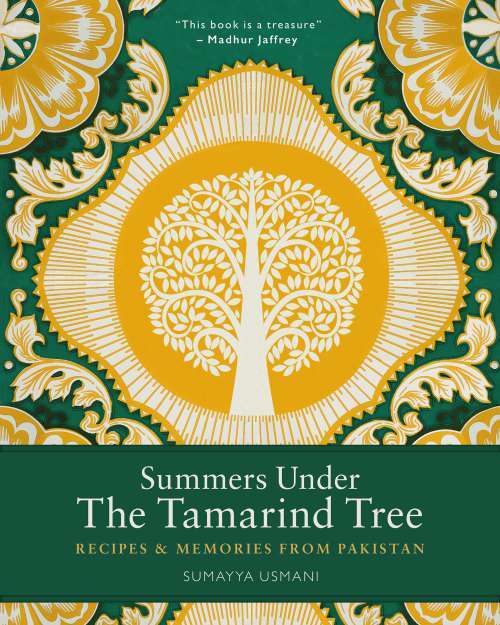 There’s a quote on the front cover of Sumayya Usmani’s book, Summers Under the Tamarind Tree: Recipes and memories from Pakistan, from Madhur Jaffrey that states simply that “this book is a treasure”. It’s placed front and centre, right at the top, a badge of some considerable honour. It’s difficult to comprehend the thrill Usmani must have felt on first reading an endorsement like that from a cook and writer of Jaffrey’s stature. I learnt to cook Asian food from Jaffrey’s books, and of all the food writers out there, I perhaps owe her the greatest debt. So, yes, an endorsement influenced me. It made me take notice, made me wonder if this book was something special, something different. It signalled promise. Usmani’s book is a collection of Pakistani recipes, collected from across that diverse and complicated country. Pakistan is a relatively young country, as Usmani herself points out, formed in 1947 as the former British ruled state of India cleaved in two. Pakistan had been home to many civilisations up to that point, from The Greeks of Alexander the Great, to the Arabs, Mughals, Sikh, and Rajput. These older influences left a mark on the food of the land that, supplemented in the late forties and fifties when Muslim settlers arrived from India, along with their take on sub-continental cuisine. Usmani observes that “what unites Pakistan is an attitude towards food: Pakistanis love to eat and to feed others. Hospitality is key. Food always takes centre stage, be it an everyday meal or times of celebration and even of sorrow”. In her book, Usmani offers a personal selection of the best of Pakistani cuisine, from simple street food to delicate and opulent celebration feasts. There are vegetarian samosas, typical of Hyderabad, filled with red onion, mint and green chilli, maseledar batair – quails stir fried with cinnamon, ginger, cardamom and chill, a makhani handi, a rich dish of chicken braised in coconut milk with fenugreek and finished with cream. There’s familiarity, recipes familiar to the British eye, perhaps more refined and finessed, but recognisable and accessible, but there’s more, recipes to stretch and challenge, to expand that view of Asian cuisine forged in the fiery heat of thousands of Indian restaurants and takeaways up and down the land. And it’s this distinction that interests me most, because Asian cuisine, the food of Pakistan, India, and Bangladesh is infinitely varied and infinitely subtle. Real Asian cuisine, of exactly the sort presented here, is a wonderful, diverse, intoxicating feast, and Summers Under the Tamarind Tree is a tempting glimpse inside. Sumayya Usmani has produced a book that balances her personal experience and recollections of a life in Pakistan with the food of that nation, and it’s a captivating and authentic view, supported by beautiful and fragile photography, a view that will teach, guide, and make you wish you could be there.